In the tech community Neil Stephenson is one of the most highly-read authors. His books tend to be very long. 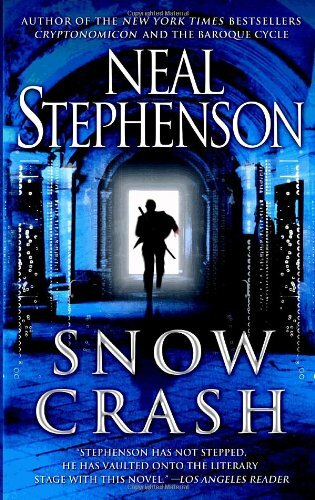 Snow Crash is one of his early books. The genre is often called cyberpunk, but apparently this term is also overused and avoided. The meeting is scheduled for July 28, 2014.